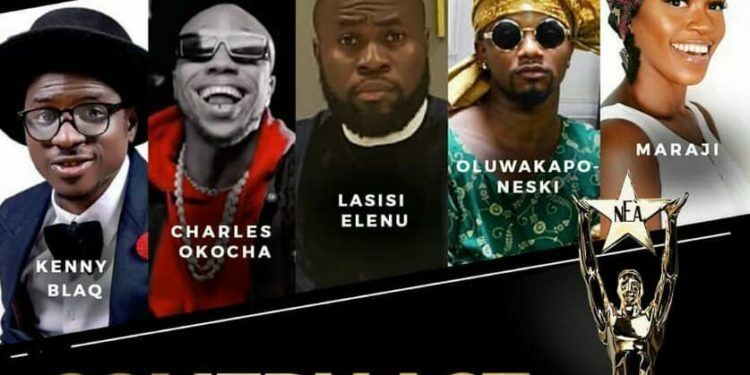 Popular Nigerian comedians, Kenny Blaq, Maraji, Oluwakaponeski, Lasisi and Charles Okocha have been nominated in the best comedy act category of the 2018 NEA awards. The Nigeria Entertainment Awards (NEA Awards) was established in New York City in January 2006 to serve the growing African population in North America. The awards recognizes the contributions of African entertainers to the entertainment industry and the event aims at promoting the image and culture of Nigeria. 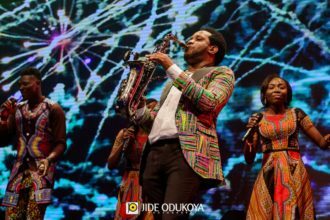 This has increased the awareness of a new edgy style of African entertainment that has helped promote Nigerian acts to the world. Come November 10 one of the above mentioned comedians and other talented entertainers in the Nigerian entertainment industry will be awarded. Woli Arole and Asiri won the best comedy act award in 2017. GBENGA ADEYINKA AND MALTINA HIT OSOGBO WITH LAFFMATTAZZ ON JUNE 12.